NCS & NRW Gear now available at Team One Newport! Nantucket High School Spring Sailing Season! With spring right around the corner, don't forget to follow us on Facebook and Twitter to keep up to date with all things going on at Nantucket Community Sailing! 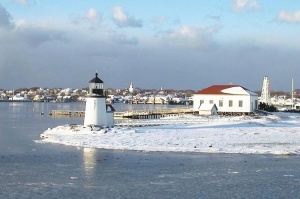 Winter still has a strong hold on Nantucket! We are really starting to look forward to the warmer days of spring and summer ahead!